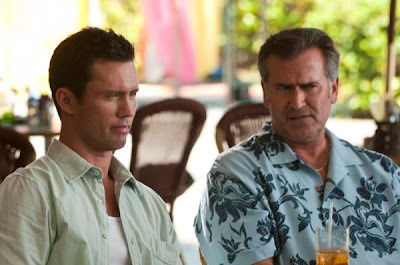 Burn Notice Season 3 Continues on Thursday, January 21 at 10/9 central. Season 3.5 Premiere: "A Dark Road"
Having taken a bullet and been outed as a spy working for the United States-- as season three of Burn Notice continues with "A Dark Road"-- it's Gabrielle Anwar's character Fiona who's experiencing the same "Burn Notice" that ousted CIA Agent Michael Westen (Jeffrey Donovan) when Matt Nix's series began. With Michael and Sam (Bruce Campbell) nursing her back to health and taking on Fiona's freelance work as well, the guys find themselves in Fast and the Furious meets Sons of Anarchy territory when Michael has to pose as a "wheel man" from North Carolina, complete with a tobacco spitting accent and the threat to torch a biker's garage while taking down a massive insurance scam ring. When Michael's mom (Sharon Gless) ends up working another angle on the same case since the "Sam Magic" fails, she reunites Cagney and Lacey in an interesting twist with scene partner Tyne Daly, with whom Gless starred in the classic series. 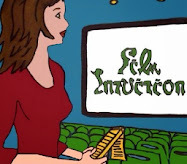 Weaving in the trademark humor and action of a typical standalone Burn Notice high speed adventure, "A Dark Road" as a whole is impressive if familiar but it boasts a great opportunity near the end for Gless to prove that her character is more than just comedic fodder as she corners her son about the morality of life as a spy. 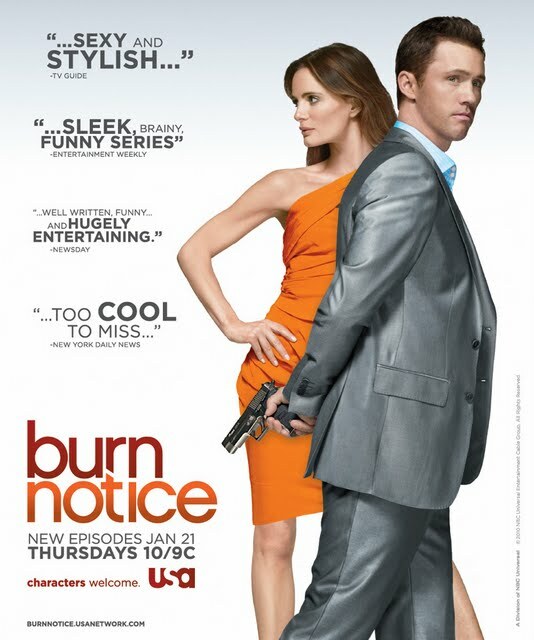 However, Nix manages to thrill by fooling us into assuming it was just another day in sun drenched Miami for our nonchalant narrator as a chilling voice establishes another mysterious player in Michael's actual "Burn Notice," which has only grown stronger now that Fiona is in a similar situation.